This post is the 4th in a series describing Creating the Future’s first “Road Tour,” a two-month community engagement effort that saw our founders connecting with people in communities across California and Nevada in late 2018. You can read these posts from the beginning here. Last fall, we set out for two months on the road, to engage people in conversations about Creating the Future’s mission. While social media provides the ability to introduce a cause to thousands of people all at once, in order to accomplish social missions, at some point we need to talk with people face-to-face, on the ground where they live and work. To many people, that seems daunting. Having taught community engagement for two decades*, I can state with certainty that engaging community members on-the-ground is easier than some people believe. And once you get going, it is such fun! Whether you are heading out on a world-wide engagement tour or heading to a coffee shop across town, the following tips will help you get started. When the goal of your engagement efforts is simply to connect meaningfully with people who care about what you care about, you begin to realize you really do know everyone you need to know. Further, you begin to see that if you want to know someone you don’t already know, it is likely someone in your network does know them! If you are running an after-school program, your first answer might be, “the kids in our program” and then perhaps “their parents.” And whose lives are touched by those individuals? Well there are teachers and principals. There are the friends of those parents, who also have kids in school. There are the workplaces where those parents work, which will absolutely be affected by an after school program. Perhaps the owner of the convenience store near the school, who is dealing with the effects of kids hanging out after school, causing trouble near his store. Suddenly you have gone from “I don’t really know anyone” to “How could we possibly connect with all these people?” Not a bad problem to have! At Creating the Future, our mission is systems change, so that the systems we all encounter in our daily lives are bringing out the best in us (rather than suspecting and reacting to the worst in us). 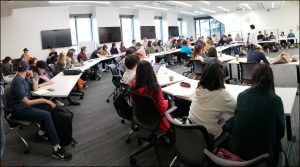 For our mission to succeed, we need to be connecting with people in various realms where systems change is sparked – people in academia, people in the social enterprise world, people in the traditional nonprofit world, people working in foundations, and people working in capacity building. Our list went on from there. 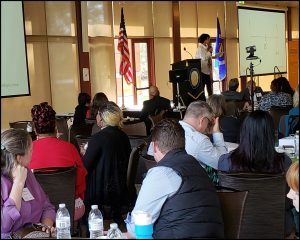 From that one talk, I got to bring Catalytic Thinking to 300 leaders in the community benefit sector, including individual conversations with several foundation leaders. In following up with just one of those foundation leaders, our phone conversation was so rich and energizing that Natalie is sharing information about Catalytic Thinking not just with the organizations she helps fund and support, but with her own network of philanthropists. All because I knew the one person whose house we were staying at. In the southern part of the state, one of our Creating the Future fellows had just moved to LA a few years prior. Feeling like she was still just getting to know people herself, she told me, “I really don’t know anyone to connect you with.” After thinking about it a few days, Gail asked tentatively if I would like to meet with the director of a local capacity building organization, Jericho Road Pasadena. The conversation I had with Melanie at Jericho Road was so energizing and informative! And I smiled to think that the person who “didn’t know anyone” knew exactly the right person for me to connect with. Our whole trip was filled with those connections, all because we simply asked people, “Who do you know who cares about the kinds of issues we are addressing?” And as soon as you begin pondering that same question, you will find that you, too, know everyone you need to know. The most basic reason for connecting is to learn from that person. Do you already know every single thing there is to know about the issue you are addressing? Do you already know every single thing your community members think about those issues? I didn’t think so. So make learning the basis for your connection, and watch what possibilities that opens – for you and the person you’re talking with. On our own engagement tour, we learned so much that if that were the only goal of the trip, we would be fully sated. Starting with who we knew, a former board member, Alex Budak, teaches social enterprise at UC Berkeley. In addition to introducing us to his class of 75 students from around the world – a highlight of the trip, in and of itself – Alex introduced us to his wife, Rebecca Altman, who began taking classes at Creating the Future. Rebecca is a director at the social impact consulting firm Third Plateau – a group that places a high value on their own learning. I asked if she thought her team would be willing to explore with me the restructuring Creating the Future has embarked upon, to get their insights and ideas. The result was more than just the energizing connections that discussion sparked. The result was my own learning from the observations and questions those 11 brilliant minds shared about this major initiative. That single conversation also led to follow-up conversations with someone I met for the first time that day – a conversation which, 5 months later, is still continuing to feed both my thinking and hers, as we’ve promised to continue that conversation, to find ways our two groups can continue to explore and learn together. Rebecca also introduced us to a former tech guru, who is now heading his own social change initiative. Deepak’s insights led to our seeing the work we are doing through a whole new lens. One of Creating the Future’s goals for this year is to share our education programs more broadly, through organizations already doing capacity building – providing our programs as content for their own education programs. Deepak’s insights led to our realizing we are creating “distribution channels” for our work – a phrase that has made it clear to ourselves and to others precisely what needs to happen. All this was possible because we set out with the primary objective being to learn. Collective Enoughness is one of the 3 core tenets of our work at Creating the Future – the economic principle, that together we have all the resources we need, and that it is only on our own that we experience scarcity. However, because economics is about people and their behaviors, the principle of Collective Enoughness is about far more than just having “stuff.” It’s about the relationships that are built when we share that stuff. The two questions that guide Collective Enoughness are questions of engagement. 1) Who else cares about what we care about? 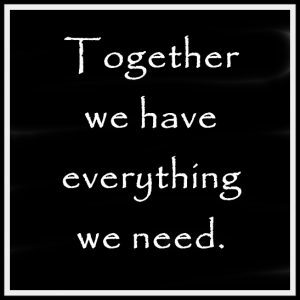 2) What do we have together, that can accomplish those goals? as you provide avenues for people to share what they have beyond money. Whatever you need, it is likely someone has that. And if they care about what you care about, they might be willing to share it. A coffee shop that is happy to host your meet-ups. A supporter who would love to introduce your cause to friends over an intimate home-cooked dinner. The sky really is the limit of what people have that they are not just willing, but excited to share. The examples of Collective Enoughness on our California Engagement Tour could fill pages. In each case, it wasn’t just about sharing the “stuff,” but the value of the relationships with the people. At every point, people shared their homes (room and board), meeting spaces (offices, restaurants, living rooms), meals (dining out and dining in), and connections. In every case, the “thing” was more special because of the people – far more special than if we had just paid for it ourselves. Fresno was the perfect example of this spirit of sharing. Thanks to our hosts, Ann Vermel and Cathy Caples, we were well fed with home-cooked meals every night for the whole week we were there. Almost all those meals included friends and colleagues whom those two well-connected women hoped to introduce to Creating the Future and Catalytic Thinking. Had we simply raised money and gone out to eat, we would have missed all that warmth and connection, and Ann and Cathy would not have had the opportunity to share what they had to give. Ann and Cathy also shared their professional connections. They invited HandsOn Central California to share their mailing list, arranging for us to do a free workshop for community activists. And they invited the Central Valley Community Foundation to contribute their spacious meeting room for that workshop. That collaboration led to 20 people experiencing the power of Catalytic Thinking, from individual activists to leaders of the local United Way. And it allowed us to use the workshop itself as an example of what we were teaching! Then there was James Caples, chef, owner, and creative genius behind the innovative breakfast café Benaddiction. James re-opened the café one evening, inviting his friends to share their thoughts and desires about the change they would like to see in the world and their community. This one evening was among the most meaningful of the whole tour, as people ranging in age from their late 20’s to their late 80’s shared not just their opinions, but their stories, leading to deeper understanding – a beautiful example of Catalytic Thinking in action. I could list any community, sharing the same sorts of stories of people sharing what they had and especially sharing who they are. That spirit of sharing went beyond making the tour possible – it made it far more meaningful and fun than had we simply raised money and gone it alone. Just as it is in courtship, meeting people is the easy part of community engagement. Nurturing and growing the relationship so that it is meaningful for everyone – that is where the good stuff lives. As part of your planning for engaging your community, then, be mindful that the goal is not the first meeting. The goal is a relationship. Groups tend to be great at making plans for everything that will lead up to a relationship – who to contact, what to say, what to provide. Groups tend to be less diligent about creating equally detailed plans for following up. Often that is under the guise of, “Well every encounter will be different, so we can’t really plan generically for follow up.” In reality, though, there are several kinds of responses that will be consistent, several pieces of information that will be requested over and over, several benchmarks you will want to share with everyone, etc. So make follow-up part of the program, asking the same Catalytic Thinking questions that are guiding your whole effort. 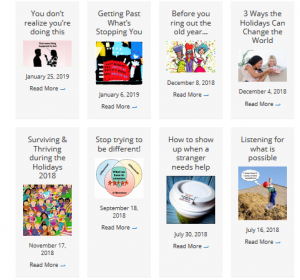 What will follow-up make possible – for you, and for the person with whom you are connecting? What are the conditions for success of that follow-up? What do those people need to know, feel, have, be assured of? And what kinds of follow-up could create those conditions? For our 2 months on the road in California, we knew we would want to send thank-you notes to everyone we met. So we brought our Creating the Future notecards with us, with postage. And we were mindful to remember to get mailing addresses from the people we met. We also knew that people would want more information about various things we would be talking about. We kept that list of links handy, so that the resources were easy to pull together in follow-up emails. 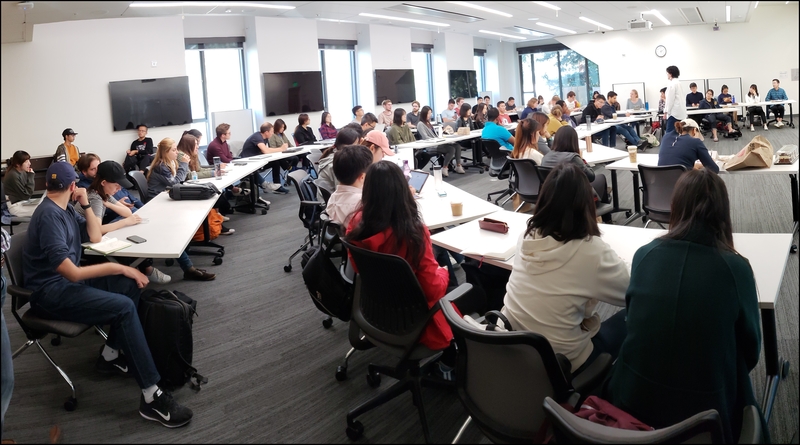 And we knew that there would be several large-group presentations, where everyone would want similar info. So we created a template for web pages that could be easily assembled, with much of that information pre-programmed into the page. In that way, we could quickly add the group’s logo to the top of that page (for example, “Special Resource Page for the XYZ Conference” with their logo), and voila – a special follow-up page just for that group! Lastly, we were diligent about recording stories as they happened. That didn’t necessarily mean capturing people’s stories on our cell phones. In many cases, it meant our recording the story after the fact, either by voice on our phones, or in writing. The result of that attention to capturing stories has been this blog series! Because part of our plan was not just to follow-up personally, but to share what we learned more broadly – because that is our mission! Each of the follow-up actions you choose will likely be simple on its own. What success requires as a first step is that you be intentional in planning for that follow-up. Because it is when we do NOT plan for follow-up ahead of time that it feels overwhelming in the moment. 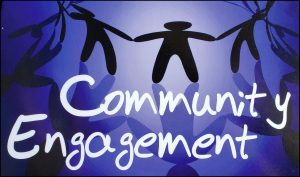 The Number One reason people tell us for why they do NOT engage their community members this intentionally is that they do not have time. The answer to that is simple: Make the time. Because Creating the Future’s mission is not local but global, our engagement tour meant a road trip, dedicating 2 months to meeting people and following up, and then dedicating time monthly thereafter to following up with the people we met. 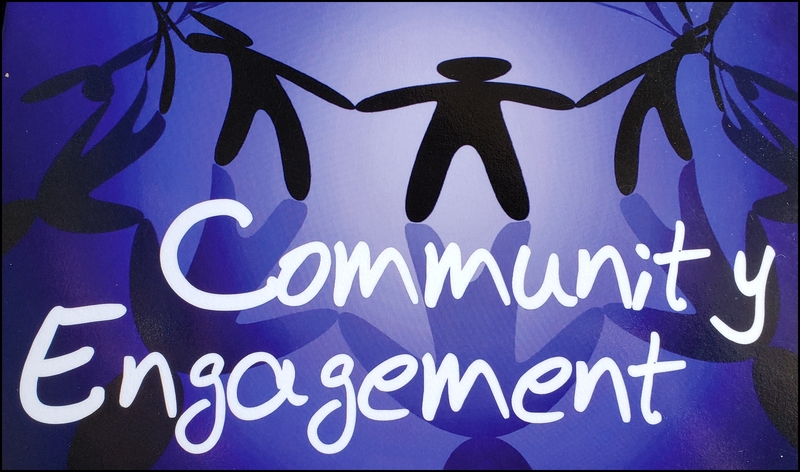 For you to build community engagement into your programs may mean setting aside a week every month for having engagement meetings or events. It could mean setting aside very Tuesday for such work. Whatever it is, schedule community engagement as a program. Build community engagement into every one of your programs and budgets. And it is what will lead to your seeing your mission flourish, as you build an interwoven web of relationships, an ecosystem of friends for your cause. 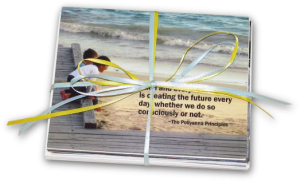 * Proceeds from Hildy’s books on community engagement benefit Creating the Future if you use this link. To see photos from our grand 2-month adventure of engagement, check out Hildy’s Instagram here. And to bring Creating the Future to your community, drop us a line and let’s chat about what’s possible!